Introducing the newest addition to the ProShot arsenal. This full powered Co2 pistol is going to be superb for both close range ratting and target shooting alike. 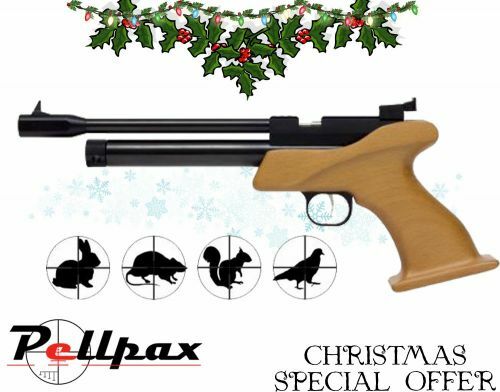 Operated by an easy to use bolt action system this pistol is suitable for shooters of all abilites with the single shot action also giving peace of mind and a great teaching point for gun safety. The adjustable rear sight is a fantastic addition to the pistol with the dove rail offering the option to upgrade to scope or red dot sight in the future.